Question of the Week – What essential products would you recommend to a friend who is just starting to build her beauty arsenal? Answer: – I used to be reluctant to part with significant amounts of money, so it’d be no good trying to fill a newbie’s makeup bag with Chanel. For starters, I’d suggest a capsule collection of: Avon Supershock Gel Eyeliner, Bourjois Healthy Mix Foundation, Collection 2000 Lasting Perfection Concealer or Maybelline mineral one, A cheap neutral eye palette, Maybelline mascara (the yellow tubed one), NYX Soft Matte Lip Cream, done. Oh wait, blush…. ummm… a MyFace Cosmetics one I think. Pink Sith – thinks that her Birchbox subscription is trying to break up with her based on the contents of the box from February. Prime Beauty – takes the confusion out of the myriad of eyeliner choices on the marker and helps you decide which is for you! Phyrra – Does the lingering Winter have you dreaming of warm getaways? Enter Phyrra & BFTE’s Tropical Pinterest Contest. Vampy Varnish – Loves the brand new Satin Lip Pencils from NARS and is pretty sure you will find some to love as well! we heart this – is giving away not one, not two, but SIX of their new favorite skincare product; O.R.G’s Organic Mineral Peel. Beauty Junkies Unite – Amber gives you a sneak peek review of the Sweetheart Beads from the upcoming Too Faced summer 2013 collection, Hello Sunshine! 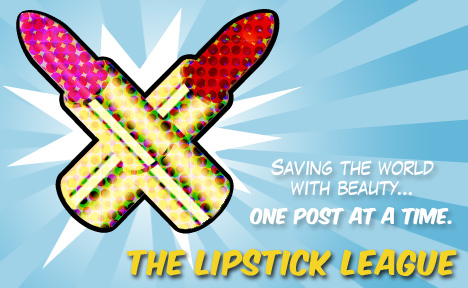 Clumps of Mascara – is absolutely in love with Maybelline’s Vivid lipsticks. How hot is this Neon Red lipstick? EauMG – Get your chocolate fix! Victoria updated her chocolate perfume guide. Here’s a guide to yummy chocolate perfumes in a variety of price points! Gouldylox Reviews – It’s the first ever Gouldylox Makeover Challenge! Check out how I got a long time friend to go from girl next door to glam for less than $50 at CVS/Pharmacy! Lipglossiping – goes ooh la la over her favourite French Pharmacy skincare and offers a worldwide giveaway on her favourite pieces. My Beauty Bunny – My Beauty Bunny is giving away Beautisol Tea Tan Glow! Go enter! Nouveau Cheap – So I found a $1 alternative to my favorite NARS eyeshadow. Did I mention it’s only ONE dollar? Guest Post of the Week, as chosen by Pink Sith – During some recent image searches I happened upon the Bloomin’ Beauty Blog. This blog is filled with great images and reviews of high end makeup, making it one of my newly favorite blogs to visit, and also dangerous for my bank account! Go on, fill a newbie mate’s makeup bag, I wanna hear your picks!